Swami Vivekananda, the Hindoo monk, gave an address last evening in Sever Hall under the auspices of the Harvard Religious Union. The address was very interesting, the clear and eloquent voice of the speaker, and his low, earnest delivery making his words singularly impressive. 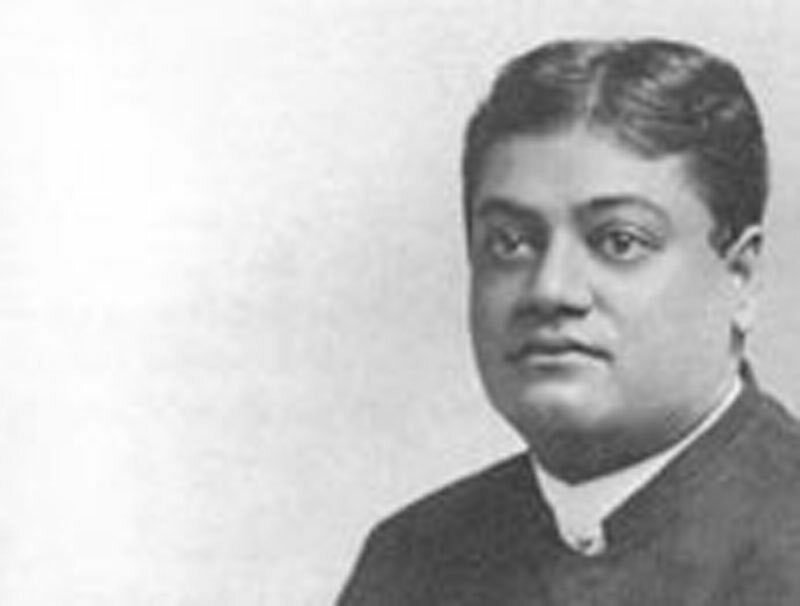 There are various sects and doctrines in India, said Vivekananda, some of which accept the theory of a personal God, and others which believe that God and the universe are one; but whatever sect the Hindoo belongs to he does not say that his is the only right belief, and that all others must be wrong. He believes that there are many ways of coming to God; that a man who is truly religious rises above the petty quarrels of sects or creed. In India if a man believes that he is a spirit, a soul, and not a body, then he is said to have religion and not till then. To become a monk in India it is necessary to lose all thought of the body; to look upon other human beings as souls. So monks can never marry. Two vows are taken when a man becomes a monk, poverty and chastity. He is not allowed to receive or possess any money whatever. The first ceremony to be performed on joining the order is to be burnt in effigy, which supposed to destroy once for all the old body, name and caste. The man then receives a new name, and is allowed to go forth and preach or travel, but must take no money for what he does.